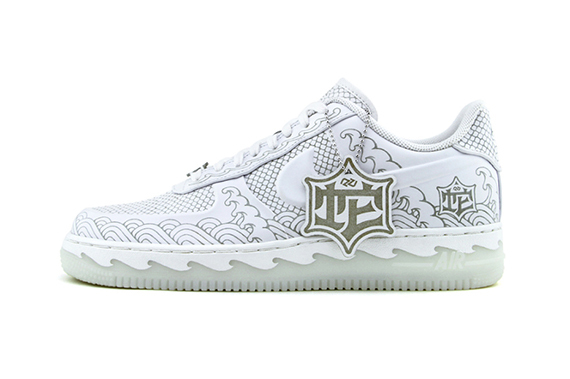 The year of the snake is nearly upon us, and the flood of YOTS footwear continues. 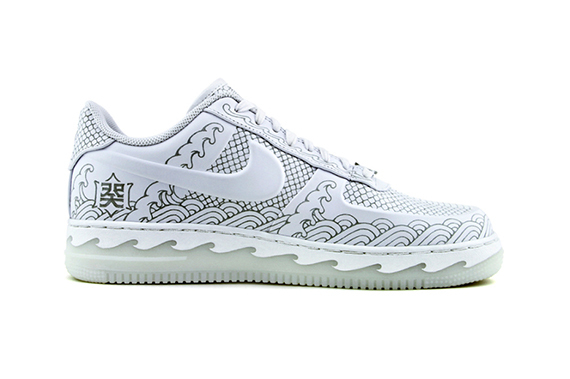 Here we get a look at the Nike Air Force 1 “Year of the Snake” Bespoke which was specially made by Chinese artist Zhijun Wang. 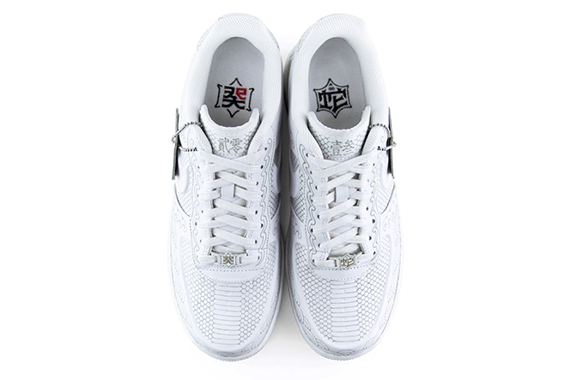 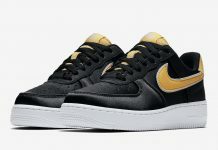 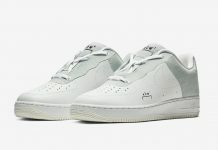 The 1 of 1 AF1 started out on a white vac tech platform and uses laser techniques to inscribe snake skin as well as other graphics onto the upper. 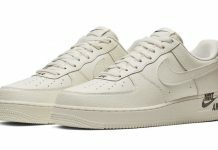 A very unique wave sole is present, one that makes you look twice as this is an application we have never seen on an Air Force. 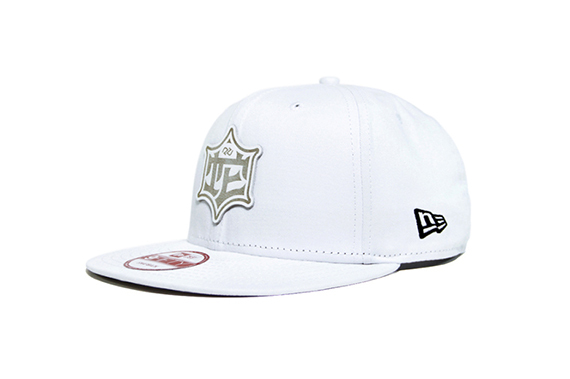 The shoe comes complete with a special hang tag and is part of a set that includes a matching New Era hat and a matching T-shirt.